This is a new band from Greece plying their trade in the well sailed AOR waters. There’s enough to the songs to make them listenable but it is a little too in the style of oh so many. There is plenty of the expected polish on show but a few chances to fire in a vaguely heavier riff - none of which are taken. I’m not expecting them to break from their obvious sound but a little variation via some brief heaviness would give this a little more. This is safe radio friendly stuff and fine. There just isn’t much to really make it stand out from this genre which seems to be bursting at the seams these days. 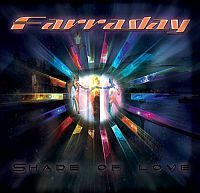 You’ve heard it before but Farraday won’t let you down if AOR with a little of the cheese removed is your thing.